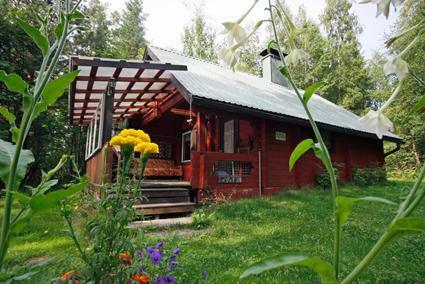 This small log cabin is located in Tuusniemi by the cove of Juojärvi in peaceful and beautiful surroundings. 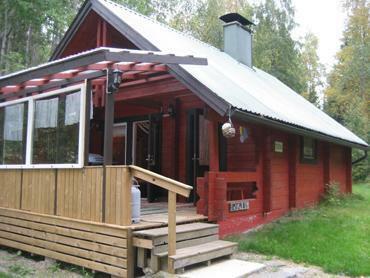 Distance to the lake 40 m.
Cabin has open kitchen/livingroom, alcove with double bed, loft (steep stairs, sloping ceilings, low room height) with 2 mattresses. 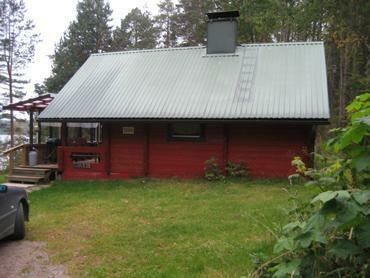 Dressing room, sauna with shower, spacious covered terrace, two toilets, the other one is a dry toilet. Wood shed and barbeque shelter with gas grill, open terrace by shore. Jetty and rowing boat. Water from the well, must be carried in winter. 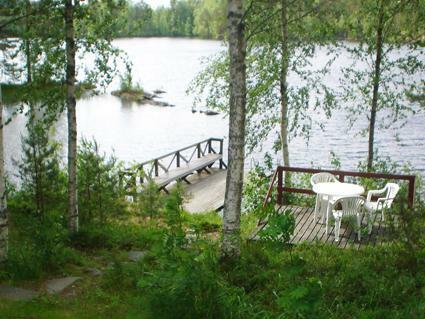 Fantastic views over beautiful, uncultivated lake Juojärvi from the cabin. Shore is shoal and deepens slowly. The particular, lagoon protected of cliff is protecting the beach. The fishy lake Juojärvi is once said to be the clearest lake in Finland. Owner charges 25e for pets (no more than 2 pets allowed). Convertible sofa in the living room as an alternative bed. On April minimum booking time is 4 nights. From late June to mid-August only weekly bookings. 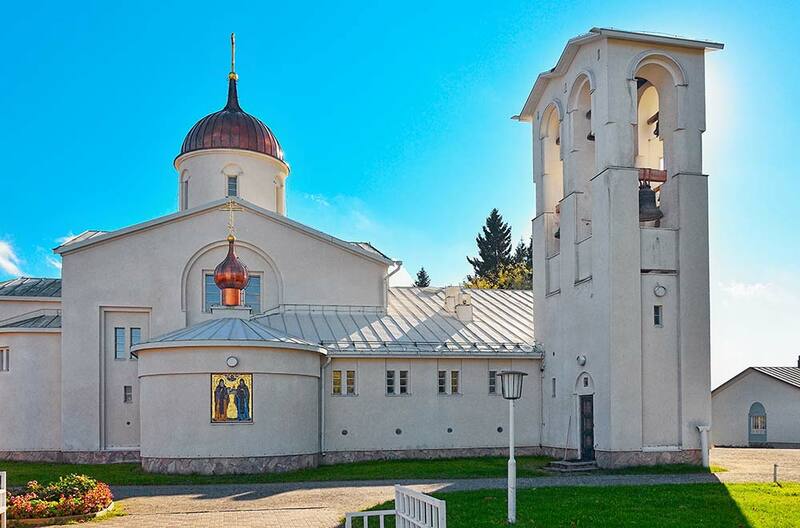 Distances: Kuopio 85 km, Joensuu 105 km, Varkaus 75 km, Karvio rapids 30 km, Valamo monastery 35 km, Lintula monstery 15 km, Rotkolaakso 35 km, Kolovesi national park 70 km.